The First Year - Report. Authorization for signatories on opening bank account. Authorize an Association credit card. Now eligible for www. IOMC.EDU – convert? Presented by Jerry Thornton, PhD. Note. By laws require each founding member to annually appoint working committee members to standing committees. Failure of any institution to actively participate may result in loss of membership. Recommended, Each institution contact the Committee Chairs to determine if their representative timely and responsibly fulfilled their responsibilities. Further, check with any potential designee to be certain they are willing to perform as required. Be certain they are aware that when they are unable to promptly competently fulfill an assignment they must find a suitable designee. Drawing for terms. Election of two trustees for a three-year term. There are six founding trustees whose terms will be established by a drawing. Discussion on the proposed data bank. 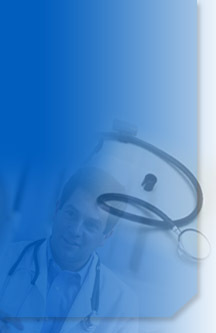 Advisory council - Physicians of Other nations practicing in the US, International Experts. An understanding of the many value systems is required for a constructive interaction. Bridges to diverse medical education system and cultures must be built. An advisory council could accomplish this. Proceed to define for approval? Recommend draft for submission to Board. Independent evaluation, International certification of quality, working together. Affiliate? Joint venture? Discussion; When? Current member thinking. Future financing – what is it going to cost? Definition of a purpose – discussion. Comment; The founding organizations each nominated an officer for the first year. When I resigned from SGU it lost its only officer. The bylaws do not require an officer be one of the member schools. If nominated and elected I will accept. There is a vacancy for Vice President – Basic Sciences. The meeting opened at 10:30. The First Year Report and Financial report were deemed read and passed. Motions passed to open a bank account, authorize a credit card, convert to edu, appoint new committee members by March 31st, adopt a global data bank of medical school’s accreditation documents and make them public, the present members will supply the first documents, continue the terms of the existing officers by an additional year, establish an Advisory Council composed of medical educators and regulators from around the world, work with the Institute for International Medical education, attend the next annual meeting of the AAMC, establish a fee structure for new members wishing to join IAOMC, and determine the role of student members when fully operational. The Standards Committee Chair is satisfied with the work of the committee. Prospective schools should be provided with guidelines to standards. Some committee members did not participate fully. The President requested each school to be certain they provide names of committee appointments of persons who are willing and able to timely complete their assignments. It was agreed these would be supplied by March 1, 2006. If a committee member is delayed in timely performing they are required to designate a person able to serve as their substitute. The credentials committee had a lengthy delay in reviewing CV’s. A new system of committee conference calls will be used. Founded by medical schools 3/17/05 – The world’s first global medical school accrediting organization. Dares to be open to all, self- sustaining, independent, democratic, not for profit, and transparent. Chose its residence in the same jurisdiction as the United Nations. Incorporated under the federal laws of the United States, and the State of NY, by the NY State Regents 1/9/06. Participated Harvard Macy/Georgetown University scholars review, Global Medicine 4/7/05. Attended Federation of State Medical Boards Meeting 5/11/05. IAOMC developed a new method of Trustee email decision-making. Implementation successful. 9/2/05. See attached, Appendix I. Referred to by Chronicle of Higher Education 10/28/05. Exhibitor American Association of Medical Colleges meeting 11/2-11/8/05. Successfully recruited medical educators as site visitors. Final Standards Committee report to Board accepted and approved Dec. 05. IAOMC President resigns from St. George’s University end 05; begins as President and Chief Operating Officer IAOMC 1/1/06. Referred to by AMNews 1/16/06. FSMB sent draft report, “Special Committee on the Evaluation of Undergraduate Medical Education” for comment. International Association of Medical Regulatory Authorities provides link to IAOMC under caption, ”Other Resources”. Current review of offer to work together – Institute for International Medical Education.